Charlie Murphy comedian extraordinaire has passed away after his struggle with Leukemia. 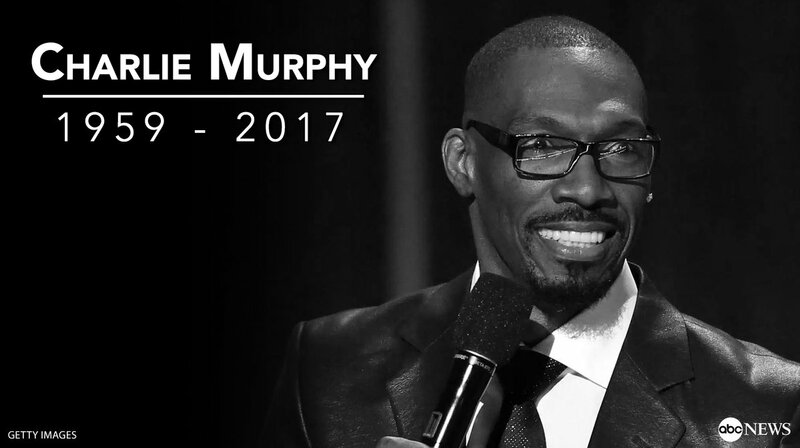 We here at The Culture Keeper offer our condolences to the friends and family of Charlie Murphy. Charlie Murphy frequently appeared on Chappelle’s Show in a segment called “Charlie Murphy’s True Hollywood Stories”, which detailed the weird and wild encounters he had with celebrities while rolling with his brother’s crew in the 1980s. Those stories, most famously the ones involving Rick James and Prince, were some of the most iconic Chappelle sketches. Murphy also co-wrote two of Eddie Murphy’s films, 1995’s Vampire in Brooklyn and 2007’s Norbit. He starred in his own comedy series, Charlie Murphy’s Crash Comedy, on Crackle, and in his own stand-up special, Charlie Murphy: I Will Not Apologize, on Comedy Central. His stand-up comedy special premiered in February 2010. Along with a long list of one-off roles and guest appearances in various series, Murphy also had recurring roles in several shows over the years, including Cartoon Network’s animated series The Boondocks, the live-action Adult Swim series Black Jesus, the TBS sitcom Are We There Yet?, and, recently, the Starz crime drama Power. Most recently, Murphy had been touring with fellow comedians Cedric the Entertainer, Eddie Griffin, George Lopez, and D.L. Hughley on The Comedy Get Down Tour. Murphy’s death was first reported by TMZ. Next Post Serena Williams is expecting her first child!